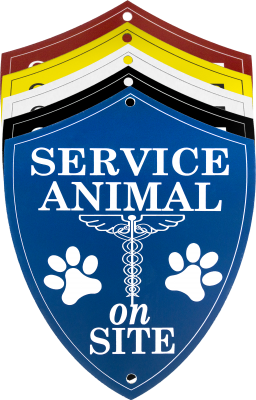 Inform people that there is a service animal on the premises with this Engraved Service Animal Sign! Made with colored acrylic displaying in an easy-to-read recessed lettering. Includes two suction cups to attach to either side of the sign. Produced using a high-quality laser engraving for sharp edges.